Welcome,I haven't been "here" that long myself! Have always loved the RG's including the "little ones",every time I got close to buying a 500,something would come along to stop me, "money wise" mainly,I bet your enjoying her,looks in lovely condition! I've got a Suzuki GT750A,which has been in my shed for 12 years,love her as well,just about to give her another minor face lift during an Aussie winter! Enjoy you Summer on the RG!!! is it a daily rider or reserved for dry,sunny days. i ask because i looked at on one earlier this year but chickened out. hi mark not a daily driver mate only use on the 2 days of summer we get a year lol.if you get a chance again to own one mate take it they are awesome things ,only problem is getting stopped everywhere you go by people asking about it and wanting to take photos of it.Definately a wednesday fan rhencullen georgeous looking bike mate love the 750s where in sheffield are you from mate ? Definately a wednesday fan rhencullen georgeous looking bike mate love the 750s where in sheffield are you from mate ? 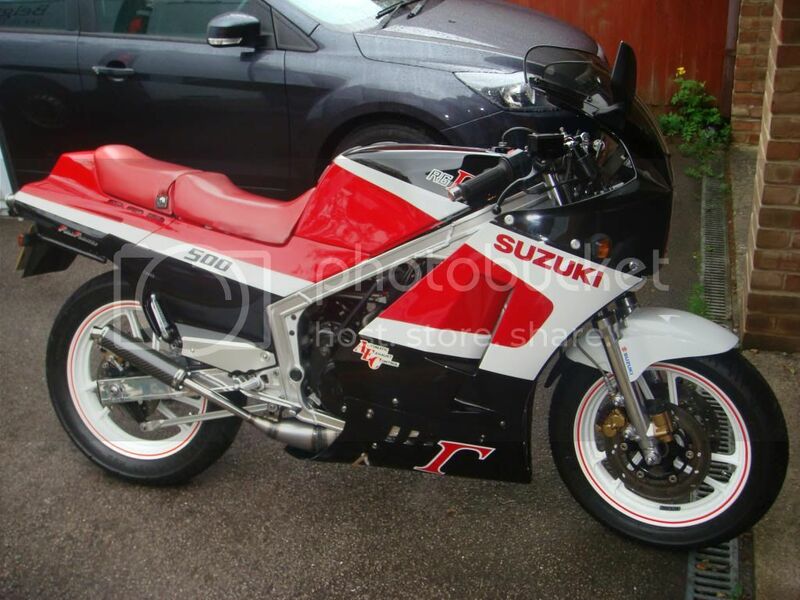 Lovely looking RG500......looks like a few quids worth. I have never owned one, but have ridden a few. Some of my mates had them in the eighties. Welcome to the forum. Now that's clean!!! I'm in the uk too, near standstead airport, M11. Have a look around the sight.. 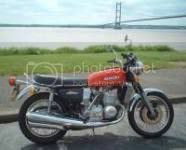 I had a new one in 86 I think, got done for "travelling some considerable distance on the back wheel only" 5 points and big fine (due care and attention) awsome machines arrived at the next gear before your brain did.